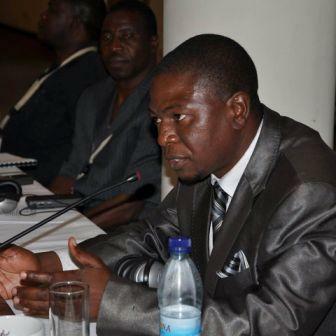 Opposition United Democratic Front (UDF) has warned the Malawi Electoral Commission (MEC) against implementing Biometric voter registration system close to 2019 general elections. Speaking during a consultative forum on electoral reforms in Blantyre, UDF general secretary Ken Ndanga said much as the system would help to reduce irregularities during elections in the country it has problems that have to be scrutinized by the electoral body. “It’s a good system, but if you bring a complicated system very late, definitely we will reject it, in Malawi we have a problem of having things that we are not sure of,we bring complicated systems that confuse people,” said Ndanga. Ndanga further said UDF will support MEC during the electoral reforms process before the 2019 elections . In an Interview with Malawi24, MEC commissioner Nancy Tembo said the system will wait for National Registration Bureau (NRB). “A feasibility study by our consultant revealed that the system will have challenges to identity Malawians but we hope that after issuing national identity cards by NRB it will be easy because we will be just swiping the cards to our machines and we will be recording the necessary information for a particular individual,” said Tembo. MEC abandoned biometric voter registration system during the 2014 tripartite elections due to pressure from donors who objected it’s implementation. Donors argued that biometric system is complex therefore there should be civic education for the general public to avoid confusions. Atupele has bn sugarcoated By Dpp. Please take it seriously because MEC is really giving a room to idiots! Is UDF, an opposition party? A tupele has been masticated and has been fully swallowed by DPP and MCP should be fully recognized as the only Opposition party on the land and Lazarus deserves a full support cz he is the only one left in the field of play in as far as opposition matters are concerned in Malawi since Atupele has been coaxed to tie the knot with DPP,,,,,,,,,,, a party which one tym harassed his father and indeed up to this tym ,,,,,,,,,,, Nonsense !!!! Musiliyeni bwana #SOJA_LUCIUS_BANDA chipanicho cha UDF 2019 akulamulira achikulire woziwa mavuto anthu apa malawi zika ya malawi Lucius osati atupere wadyera ikafika 2019 kt ndikuchoka ku Dpp ndikupita ku UDF Sorry bwanawe uzayambana ndi Soja tikufuna ameyo ife osti machona awo Mr #Bwapini akurephera kuyendesa ziko. UDF ili ndi minister mu government iwe kunva kupweteka bwa! Chipani cha U D F chatsala ndi luscious banda yenkha basi kkkkkk! mbuli kayi ndiwe ulibe kalikonse ife UDF tikusimba lokoma. U.D.F. Wawononga ndi atupele kamwana kosapola panchombo. D.P.P 2019 Booooooomaaaaaaa!! udf = dpp nde musatinamize apa the system is gd! DPP sub party UDF…….. Mudziteroooo……. UDF will never ever rule malawi again. Its a good system but it requires an ample time for adaptation otherwise it will abort again. Kaya anthu awa afuna adzabenso.